"Roger Stone, the self-described 'dirty trickster' and a focus of the on-going 'Russia' investigation by Robert Mueller (Mueller recently indicted Stone for lying and obstructing justice), has been peddling conspiracy theories and trash-talk about the Settlement since January 2018." Christopher Seeger, the lead attorney for the former players — who Stone has accused of acting against the former players’ interests — offers one theory about why Stone had been spending so much time talking about the case. In court papers filed this week, Seeger contends that Stone has ties to another lawyer representing a group of former NFL players, Patrick Tighe. Seeger accused Tighe of pushing false conspiracy theories about the case through Stone to get media attention, and suggested collaboration between the two men. Seeger wrote that Tighe appeared to be a “go-to source” for Stone (as well as Sheila Dingus, who runs a website about the case) and that Stone’s commentary “echoed” Tighe’s arguments in the litigation. Seeger also wrote that Stone was a “self-described ‘dirty trickster,’” and highlighted the fact that Stone was recently charged in the Russia investigation. Stone pleaded not guilty to charges that he lied to Congress about his contacts with Wikileaks. Indeed, throughout the implementation of the Settlement, Mr. Tighe has actively sought all flavors of the media spotlight, and has been an active collaborator with various internet sites and “media” sources in spreading conspiracy theories and falsehoods about the Settlement. In particular, Mr. Tighe appears to be a go-to source for Roger Stone and Sheila Dingus. Ms. Dingus’s blog, Advocacy for Fairness in Sports, has offered unfounded speculations and muckraking about the state and integrity of the Settlement since February 8, 2017. Recently, Dingus posted a story about the Order now challenged by Mr. Tighe, comparing it to the Trojan Horse that brought down Troy. 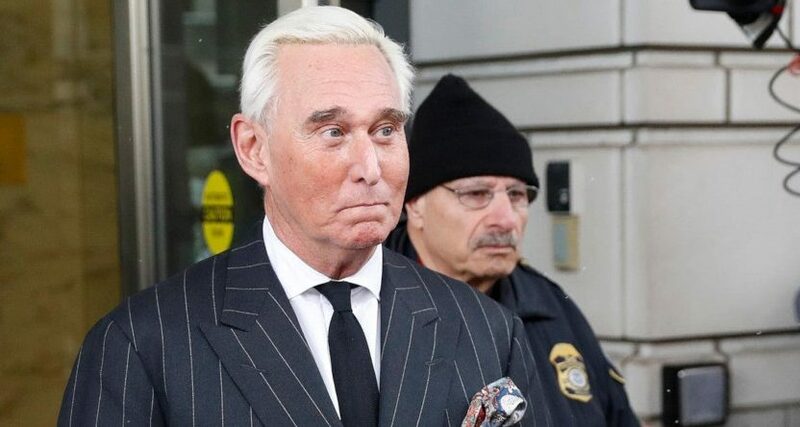 Roger Stone, the self-described “dirty trickster” and a focus of the on-going “Russia” investigation by Robert Mueller (Mueller recently indicted Stone for lying and obstructing justice), has been peddling conspiracy theories and trash-talk about the Settlement since January 2018. Mr. Tighe is not merely an informant to such “news” sources. Rather, Mr. Tighe has appeared as a guest of Mr. Stone on Infowars, the internet media domain founded by Alex Jones. On the February 13, 2018 broadcast of Infowars, Mr. Tighe spoke (as a representative of Advocacy for Fairness in Sports) to Mr. Stone at length about the NFL’s orchestration of a dysfunctional Settlement program that was not paying claims and the NFL’s use of the “Anthem kneeling” scandal to cover this up. Moreover, since the Order challenged by Mr. Tighe was entered, on January 17, 2019, Mr. Stone has echoed the position asserted by Mr. Tighe – the Order is a loss for the players and rewrites the Settlement Agreement. At the very least, it’s remarkable that Stone is interspersing his political commentary and commentary on his own case with remarks about this NFL concussion settlement. And it’s fascinating to see Stone and Infowars mentioned in court filings about that settlement. Clearly, Stone doesn’t always stick to politics.